Complete School Management solution with help of Odoo community Apps. An orderly composition leads to efficient tracking and better productivity. Educational ERP is a robust and comprehensive user-friendly ERP solution specially crafted for school administration. One can easily manage the details like student admission, their enrollment details, faculty records, Class Management, and Subject management. Educational ERP manages and maintains a robust database storing all pertinent and real-time information upon the students and faculties within the school. It acts as a single gateway to administer all the school-related activities. Experience the smartest school management with Educational ERP. 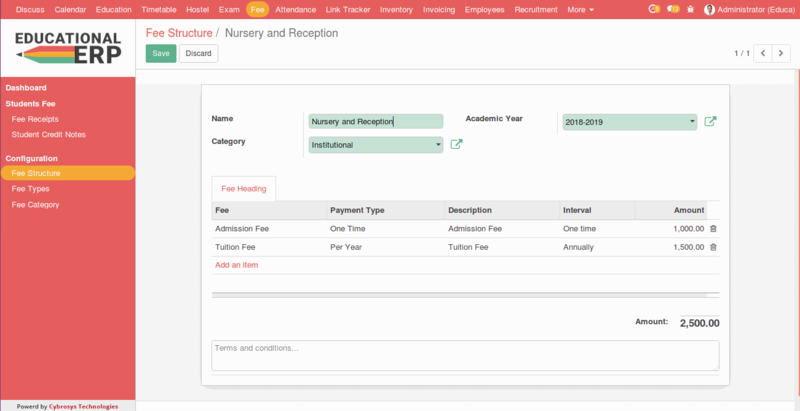 Education fee provides a comprehensive student fee management solution to automate, streamline and transform fee processing in educational institutions. With educational fee management system, one can effectively communicate to students on fee particulars like the fee structure and category. The dashboard gives an overall glimpse of the internal transactions within the educational institute. It customizes the revenue collection and makes fee plans. It offers a comprehensive ERP managing full-fledged accommodation system. to efficiently manage the entire residential facility in the school. It reduces the staff & paper works via automating every detail in real time. The ERP also keep the updated records of students, their lodging etc. 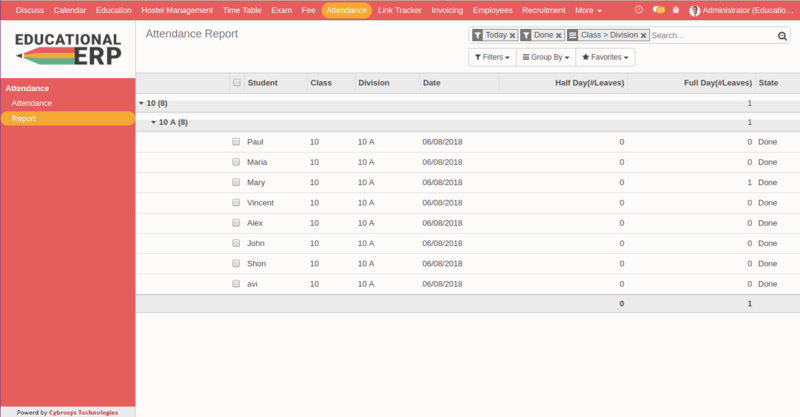 Timetable management module enables you to efficiently manage the academic year via streamlining the timetable keeping a focus on all subjects and their management. Timetable management module helps in aligning the proper schedule and thereby allow faculties as per their availability. It delivers high flexibility in restructuring the periods in accordance with the need. One can easily sort the timetable according to the classes, their division or with respect to the faculties. Time management module acts as a robust platform to forecast and thereby plan accordingly the efficient utilization of school time resulting in greater performance and productivity.